Rely on clear and stable vision, as well as exceptional hygiene and comfort, when you wear SofLens Daily Disposable Toric contact lenses to correct your astigmatism. 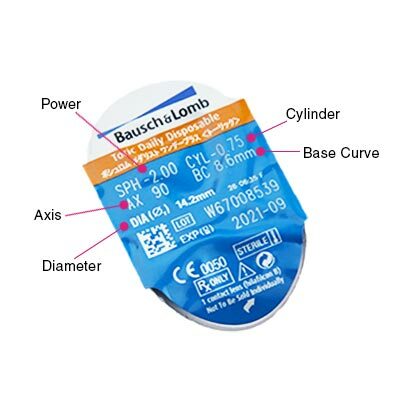 These impressive daily disposable contact lenses from Bausch & Lomb provide freedom from glasses and from the visual distortions of astigmatism, alongside total convenience. These toric contact lenses remain in place on the eye throughout wear due to their Lo-Torque technology, ensuring that vision is undisturbed. 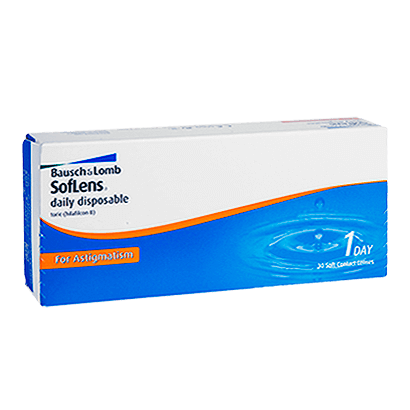 SofLens Daily Disposable Toric contacts also reduce visual distortions and blurring through the use of High Definition Optics, resulting in clear and crisp vision all day long. ComfortMoist Technology helps to deliver a high degree of comfort for the wearer of these daily disposable contact lenses, as each of them features a thin design with a wettable surface. Eyes are kept hydrated and feeling comfortable when you wear these daily toric contact lenses for astigmatism. With the convenience of daily disposable use, these SofLens Daily Disposable Toric contact lenses are the perfect choice for anyone with a busy lifestyle who requires astigmatic correction. Apply a set of these premium daily contact lenses each morning, wear them for a full day, then simply throw them away before you go to sleep. There’s no contact lens cleaning routine to follow, and you can be sure each set of lenses is fresh, clean and comfortable to wear each and every morning. Dailies AquaComfort Plus Toric and Focus Dailies Toric are similar daily toric lenses. 1 Day Acuvue Moist for Astigmatism can alternatively be worn as an upgrade. 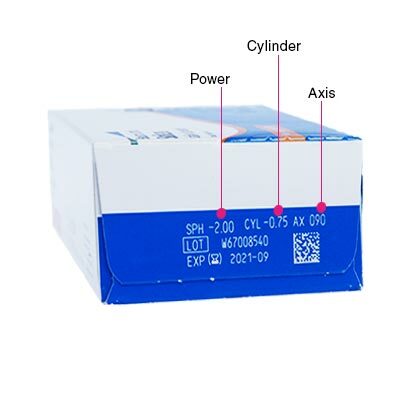 smooth ordering and delivery, best prices I have found too.